Lemax Deer On The Hoof Figurine depicts a female Winter deer standing ready and waiting on snowed ground. Deer On The Hoof suitably brings authenticity to a Winter themed scene when placed amongst other woodland animals in a Lemax village display. A delightful Lemax miniature figurine who has been part of the collection since arrival in 1999. 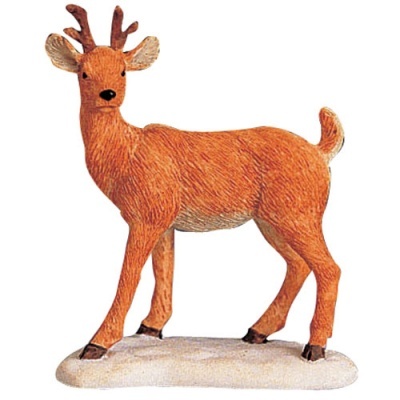 Deer On The Hoof is a single individual hand painted polyresin figurine mounted on a single snowed base to compliment your seasonal Lemax Village display.